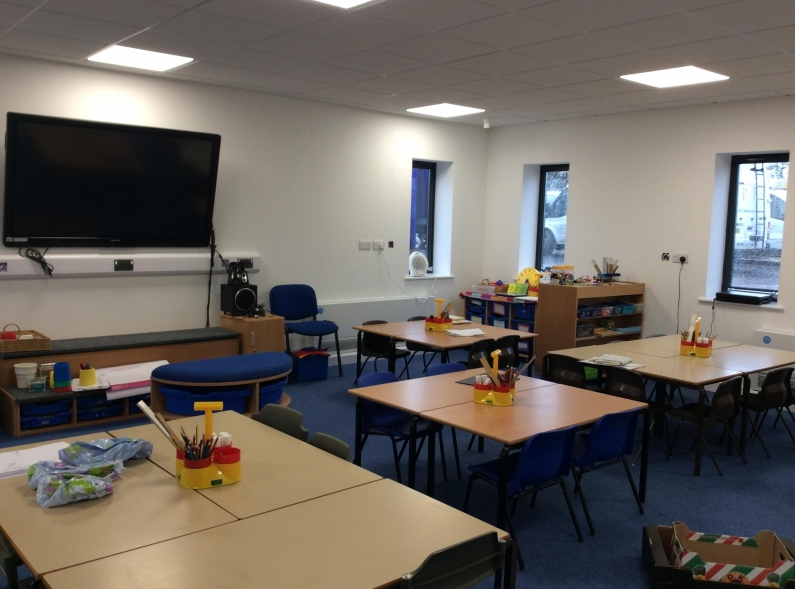 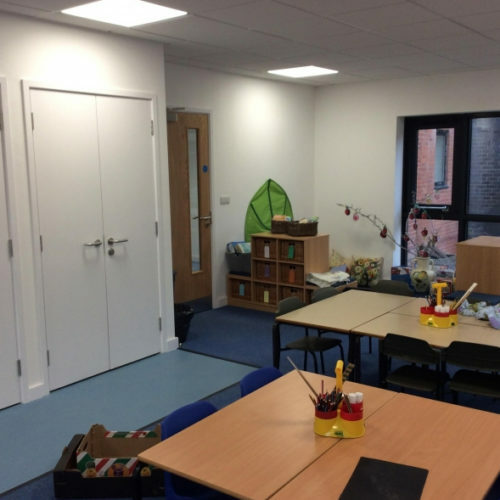 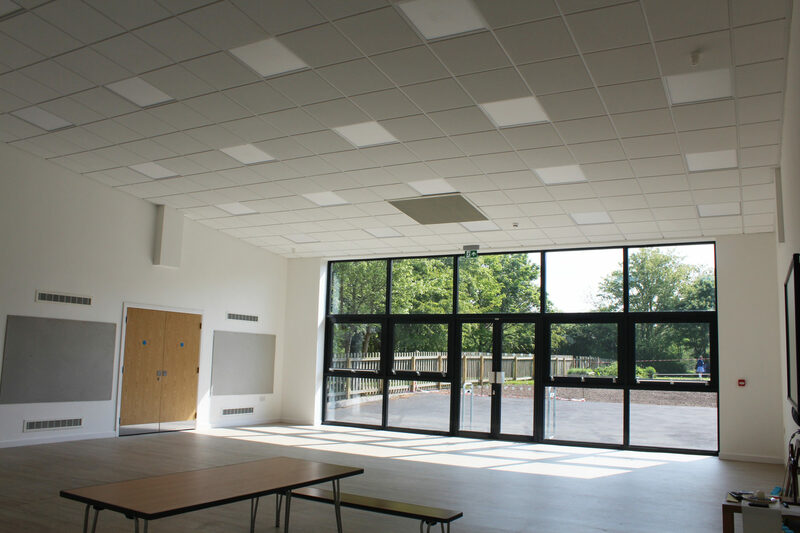 Following a feasibility study being carried out by another local architect’s practice for Cheshire West and Cheshire, Cassidy + Ashton was appointed in December 2015 by the Governors of Tilston Primary School to provide architectural services to extend and remodel the school. 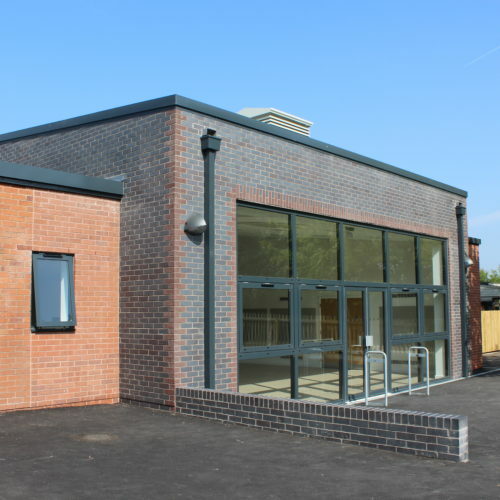 The two new single storey flat roof extensions provide a large multipurpose school hall with associated storage and new servery connecting to the refurbished existing kitchen, and a new classroom, to replace the existing mobile classroom at the rear of the school. 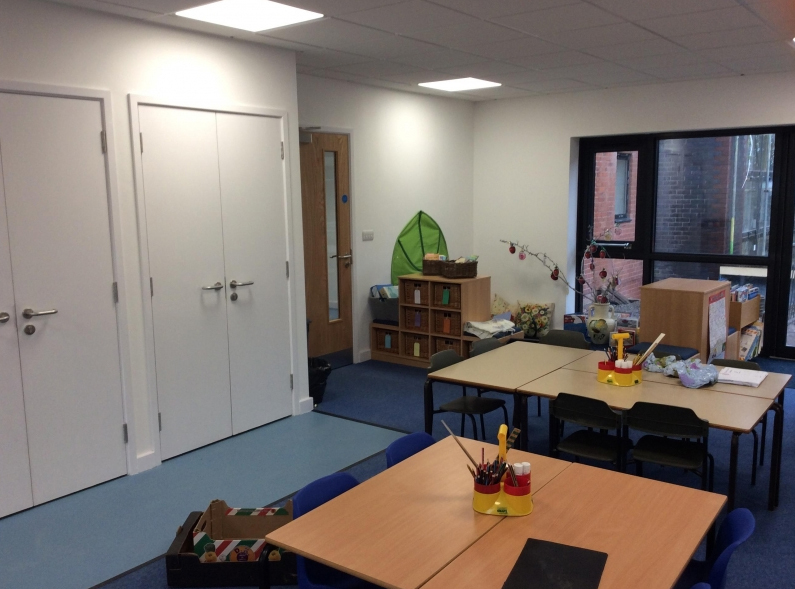 Internal reconfiguration and refurbishment to the toilets and circulation spaces has improved access and security across the school. 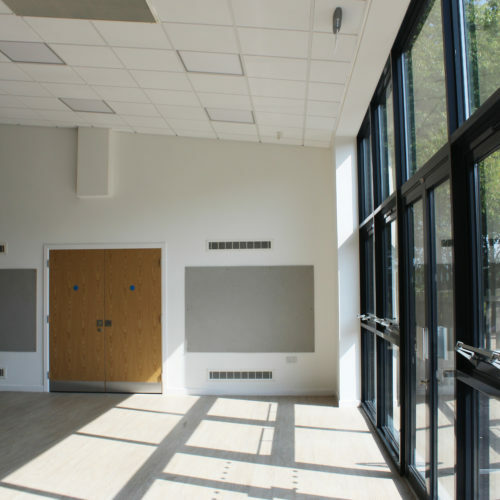 A secure barrier at the main reception enables the new school hall to be used out of hours. 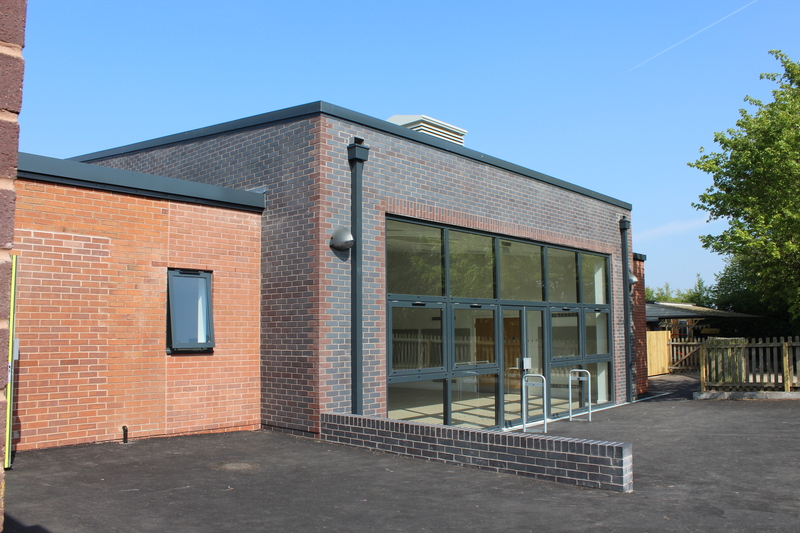 The two extensions have been designed to be sympathetic to the existing school in terms of scale and appearance. 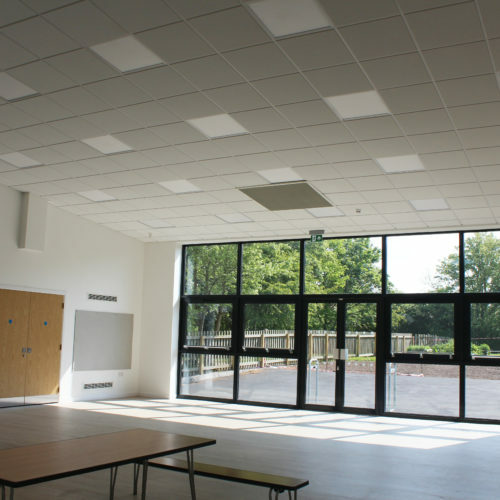 The elevational treatment of the extensions has been designed to contrast with, yet complement the existing buildings. 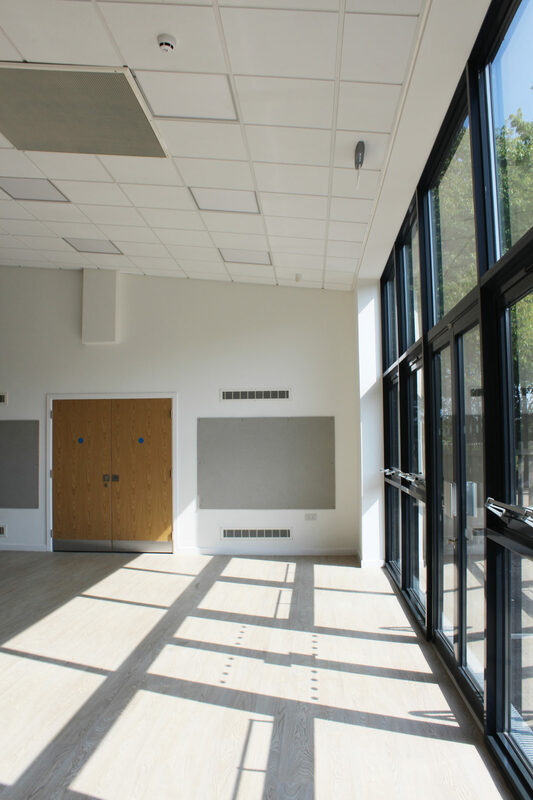 Both extensions have a large feature glazed wall, maximising natural daylight into the spaces. 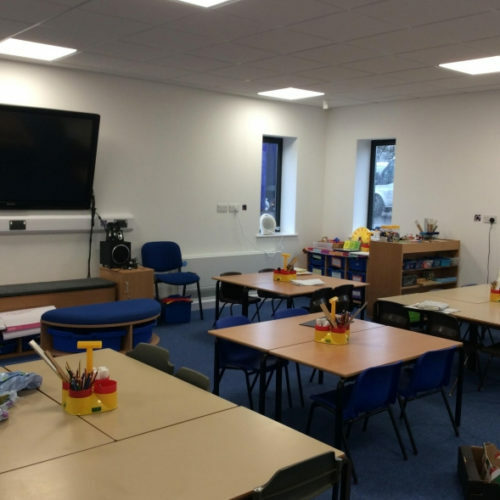 In addition to the two extensions, the project included replacing and relocating the existing boiler and heating chamber, relocating the electric meter, re-routing the existing oil pipeline, and drainage diversions.